"Is your mind a safe space? Sometimes, my mind is a battlefield." 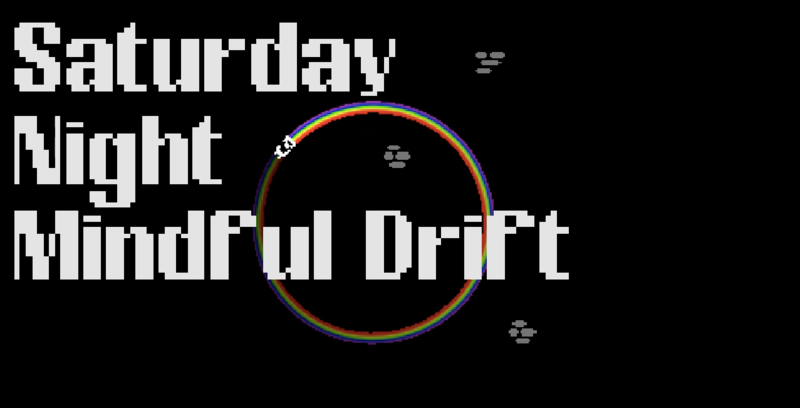 Saturday Night Mindful Drift is a Top-down, Bullet hell, driving shooter in a closed space, surrounded by the walls. The walls of your mind. Ride on your mind avatar coupé. Drive through dangers. Fight back against your inner demons with your trusty needle-sharp motor gun built on the car hood. It is developed with Godot for two-week-long game jam, Rainbow Jam 2018, and shamelessly submitted without any audio resources. The theme of the jam is 'Safe Space'. Aim freely while you maintain the direction and speed. Rotate faster and turn with a sharp angle.